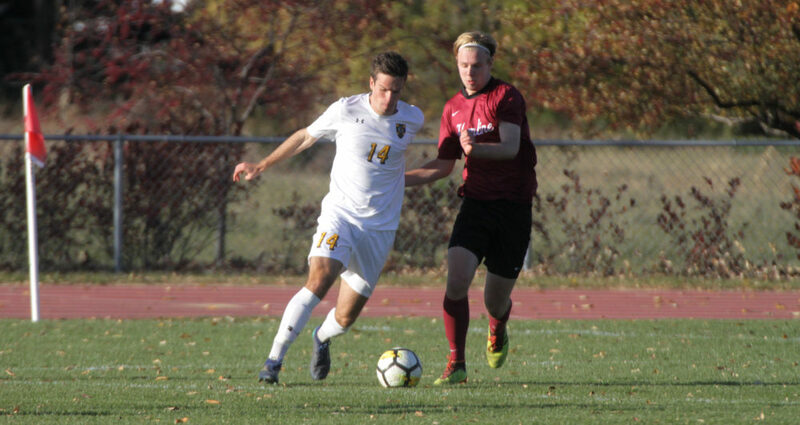 SAINT PETER, Minn. – The Gustavus men’s soccer team Tuesday was upset by Hamline 1-0 at the Gustie Soccer Field. The loss snaps a seven-match winning streak for the Gusties as they fall to 12-2-1 overall and 7-1-1 in the MIAC. Hamline scored the lone goal of the game in the 38th minute on a penalty kick. The Gusties were given a yellow card in the box, which set up the game-winner. Gustavus held possession for a majority of the match, outshooting the Pipers 25-2 with 15 shots on goal. The Gusties host Buena Vista at 3:30 p.m. tomorrow at the Gustie Reserve Field and finish the regular season Saturday at Macalester.